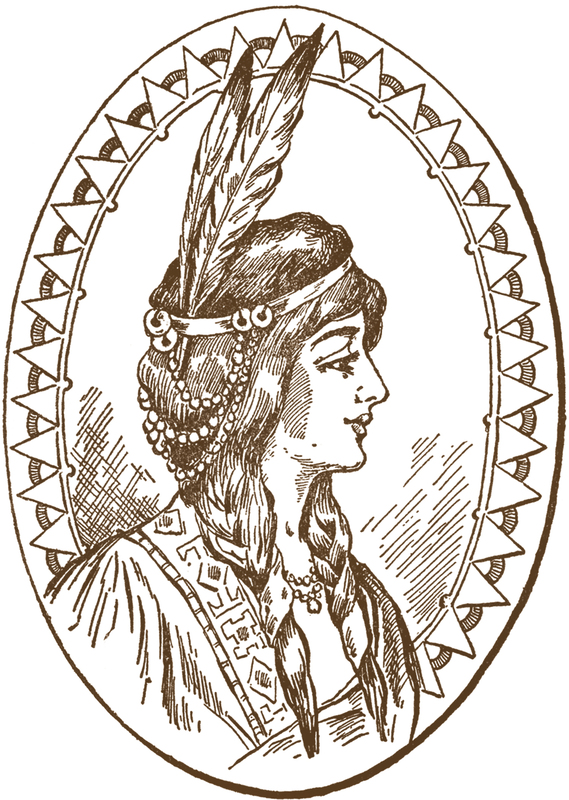 This is a Vintage Native American Woman Clip Art Image that was scanned from an Antique, Circa 1907 Pyrography Catalog! This old picture features a lovely young Woman with beautiful long braids and a feather headdress. There’s a wonderful ornamental frame, surrounding the image as well. The original image is the Black and White one that you see at the bottom, but I’ve created another version in brown as well. This one’s not really meant to be used for Thanksgiving, but I thought you might be able to use it for that purpose! 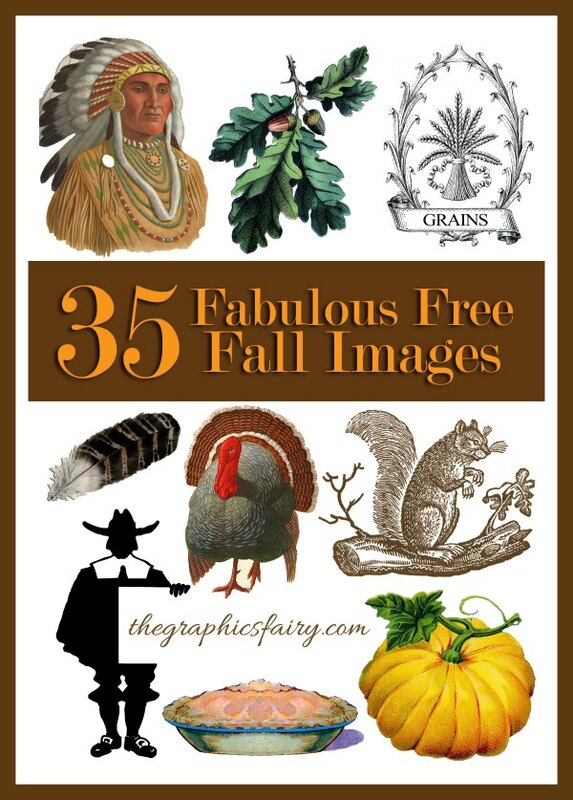 And if you need more Fall Images for your projects, be sure and check out the 35 Fabulous Free Fall Images post HERE. Nice job. Love the details. It is amazing what a little bit of creativity can do. Thank you for sharing it. This is very beautiful! I love the beads and ties in her hair. Thank you so much.